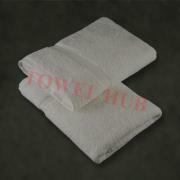 Description: Wholesale White Bath Towel Premium Plus made with Ring Spun 100% Cotton. Excellent quality Bath Towel. 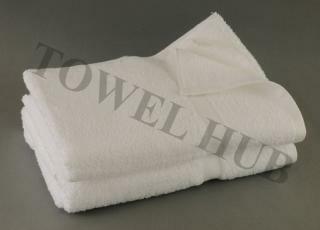 Available at great low prices here at Towel Hub!!! You can choose the following Hand towels and Washcloth of similar quality to complete a set. Description: Wholesale Premium Plus White 24x48 Bath Towel made with 100% Ring Spun Cotton has a Dobby border and tuck-in selvage. Excellent to use in locker rooms or for any high end use. Not too heavy and easy to dry. Offered at a great wholesale price! Description: Blended White Ring Spun Cotton 24x48 Bath towel with Dobby border and tuck-in selvage. Excellent to use for any high end use. Not very heavy thus easy to dry. Offered at a great wholesale price! You can get it embroidered too.